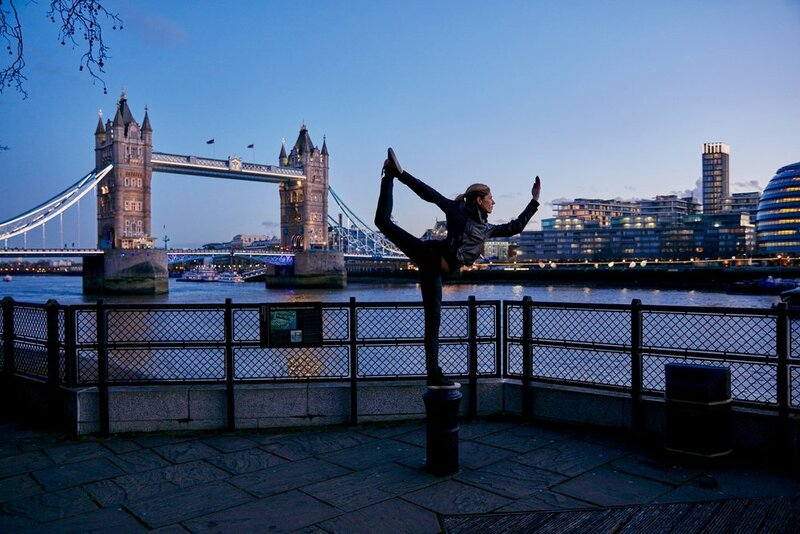 YOGA AROUND THE WORLD, READY TO WANDER WITH ME? 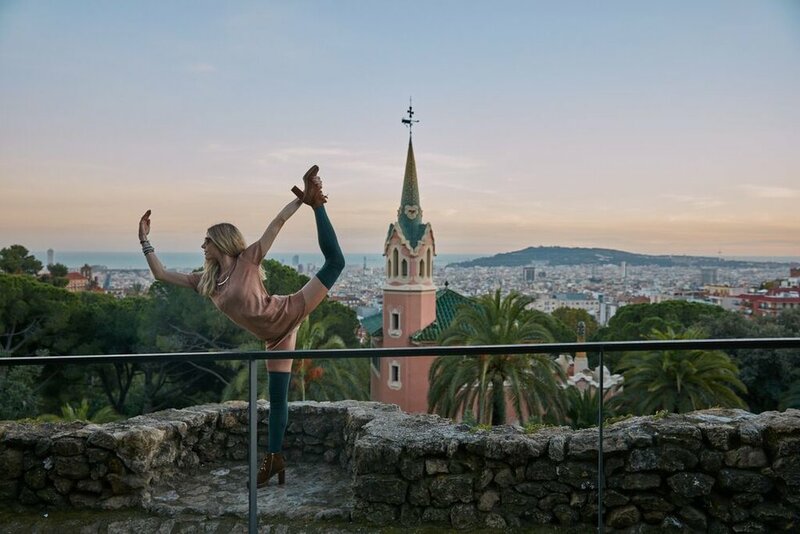 Does your yoga practice go with you when you travel? My Instagram feed may give the impression I just stop and do yoga photos in some pretty magical places… but behind the feed there is a commitment to the time I spend on my mat no matter where I am in the world. I often seek out a studio in the city I’m in to take a class and experience something new. What I continue to connect with over and over again is that uplifted feeling I have after I meditate and create space to practice, stretch & breathe; mindfulness is something you can practice anywhere. When I do land in those magical places, often mesmerized by nature, I find that familiar connection to something divine and indulge in the present moment. It's a feeling I want more of. How about you? I have to pinch myself when I scroll through the photos of places I’ve traveled to in my life. It’s more than just a blessing to get to see parts of the world you’ve not been to. There are experiences that stay with you, teach you new things and expand your heart in ways you never imagined. It evolves my capacity to love and appreciate people and different cultures in a beautiful way. Are you with me on this? Together, my soon-to-be hubby, Erik Almas and I are creating a body of work we hope to publish in a book someday. Our travels provide such diverse landscapes that inspire us to dance between looking for the right place and letting the image find us. We both are beyond grateful for what adventures can do for our souls. Embracing the moment is what it's all about. As we take in our surroundings and I float into a yoga posture, my talented man is behind the lens capturing something we both have found to be a special place or eyeopening point in time for us. Are you ready to take a trip around the world with me? The sun glistened across the mountain tops. Oceanside serenity washed over wave after wave. The majestic trees of the cavernous forest told stories hundreds of years old. Warmth caresses my skin. The rain falls tenderly. Then blue skies and powder puff clouds swirl into shapes floating by. The sun kisses the moon goodnight and silhouettes emerge from the earth. Every shade of fall illuminates this city. Before it is awakened by sounds of foot traffic and children's laughter, the streets are quiet and the canals whisper your name. Alone but not lonely. Beauty lies at every corner of your eye. Energy incapsulates your being. Historical monuments lay forth and draw you in to something old world. Pastel colors waltz together in the skyline. Very early in the morning as the street lamps are still lit and the cobblestone alleyways have been swept clean the ambience is full of hidden surprises revealing themselves moment by moment. Traveling to Erik's home town of Trondheim, Norway was undeniably special. We had a winter wonderland adventure to Røros and each storybook moment engaged my inner child influencing me to play. Leaving no cobblestone un-walked upon, London has the capacity to massage your heart and surprise your instincts. Treasures can be found in the nooks and crannies of the streets lined with history even beyond those familiar landmarks subtly grabbing your attention. Walk everywhere and let the city guide you. Nothing prepared me for the adventures I had in India. We landed in Delhi and for the next 20 days explored from the North to the South and back to the North by plane, bus, train, boat, rickshaw and tuk-tuk. The people, places, stories & culture filled our senses and cracked us open in ways we’ll always cherish & appreciate. The opposing emotions one faces in India grounds you in finding comfort in your discomforts. Between the lush, green rolling hills and acres of vineyards harvesting some of the best grapes for wine making in the world, Sonoma's quiet charm and easy breezy, kick-back style is a calming escape and adventurers delight. Surrendering in nature and all it's wonder and some dangerously good vino. I'd never felt such warmth & softness in thousands of tiny grains of sand laid like the rippling ocean waves beneath my feet as the red dunes of Dubai. A gracious breeze danced & mesmerized my soul. Soaking up the early morning rays is an exhilarating way to indulge in the sun putting a spectacular glow over the city. Thank you to my generous man who lends his talents in our travels to shoot photos together where we get to create something that has intention and purpose, making our adventures that much more special. My parents always took my brother and I places... even if they weren't far away or exotic they sparked a sense that going places meant exploring and having stories to share was fun. That has carried with me and I relish in every blessed opportunity I get to go somewhere new. May my wanderlust ways inspire yours and visa versa. Go places and do more... you will never be sorry for it. I have so much more to share so stay tuned and I hope we all get to say that for the rest of our lives. Where are you off to next? Do you have a great adventure bucket list? I love hearing from you guys, leave comments, ask questions, share your favorite travel spot with me... all is welcome!